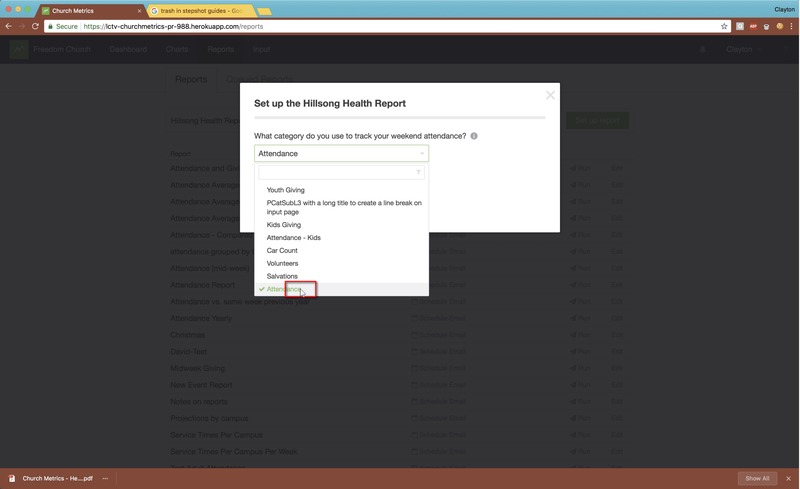 Click "Set Up Report" next to Hillsong Health Report. 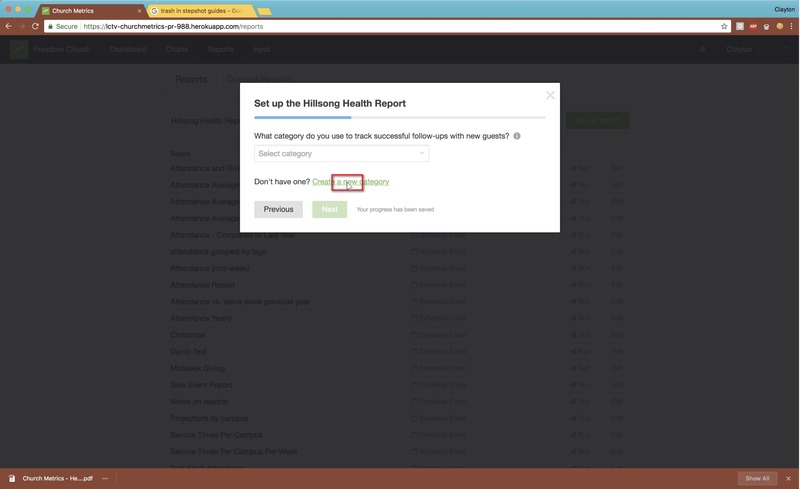 If that category does not exist, you can create a new one by clicking "Create a New Category" and you can save and select that category. 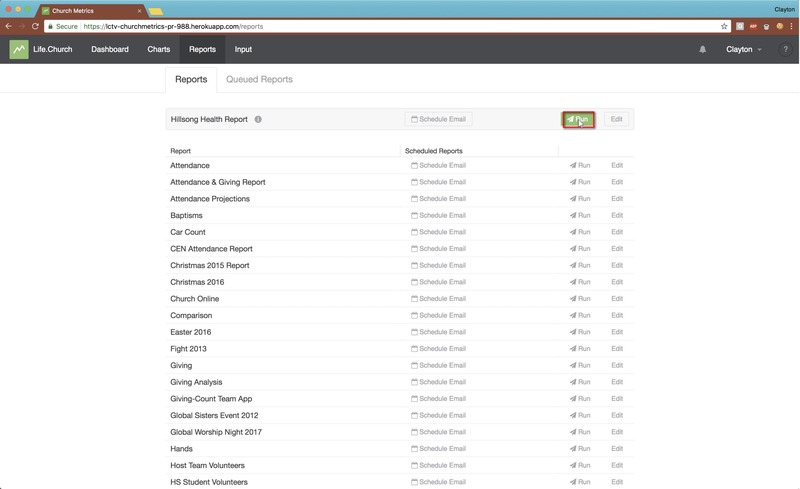 After you have selected all requested categories, click "Finish"
You will be brought to the reports page - on the report - click "Run." 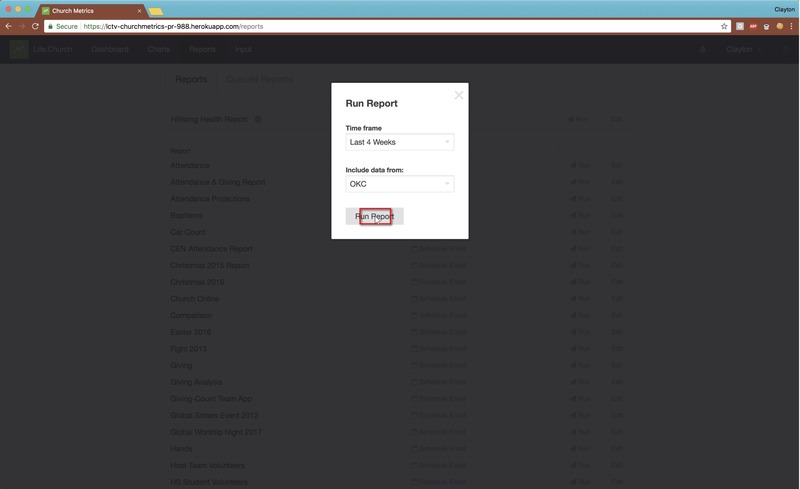 Select the time frame and campus and click "Run Report." 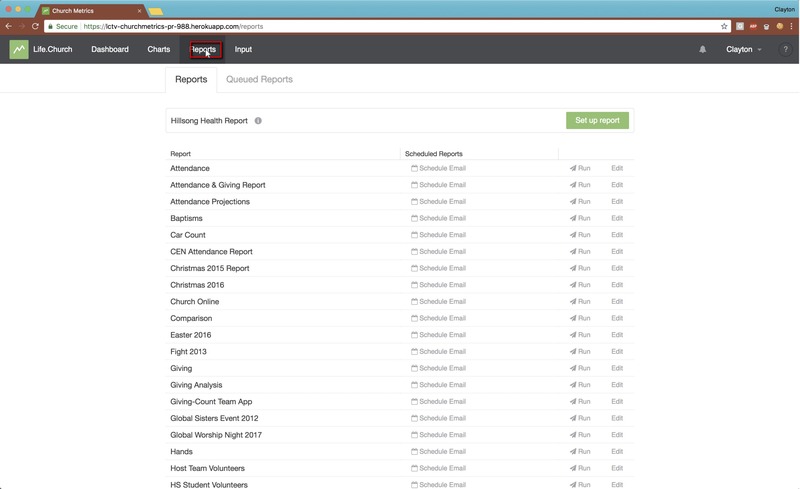 You will automatically be brought to the Queued Reports page. 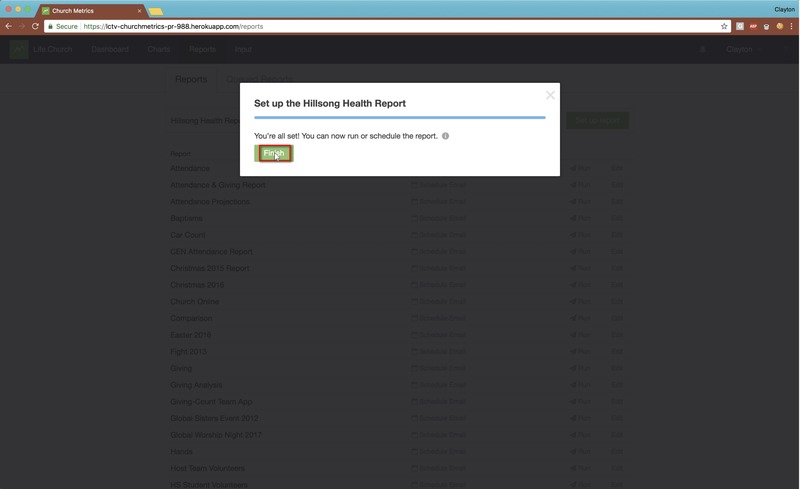 Once the report has finished running, you can download the PDF.